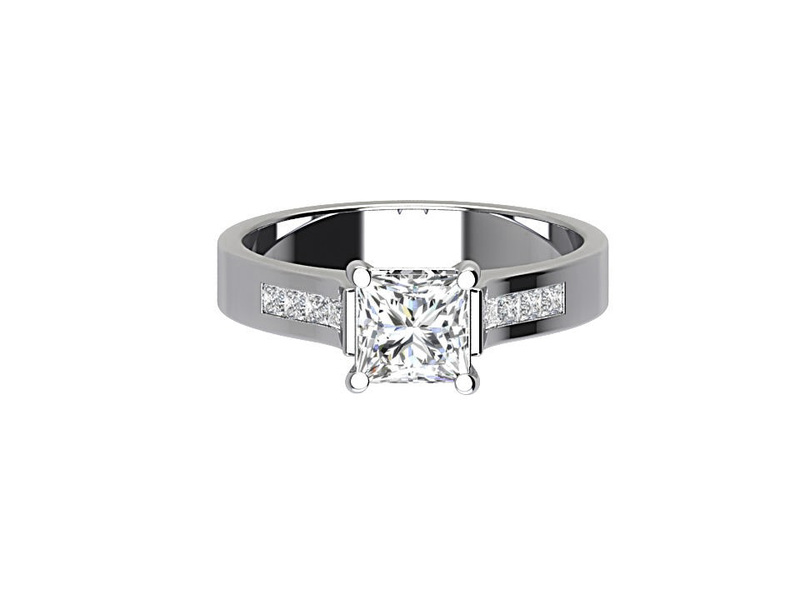 Simply stunning 1.20 carat Princess cut diamond complimented by two channels of smaller princess cut diamonds on each shoulder, bringing the total carat weight to 1.40 ct. Set in a beautiful 18k white gold setting, the diamond has a F colour and VS clarity. 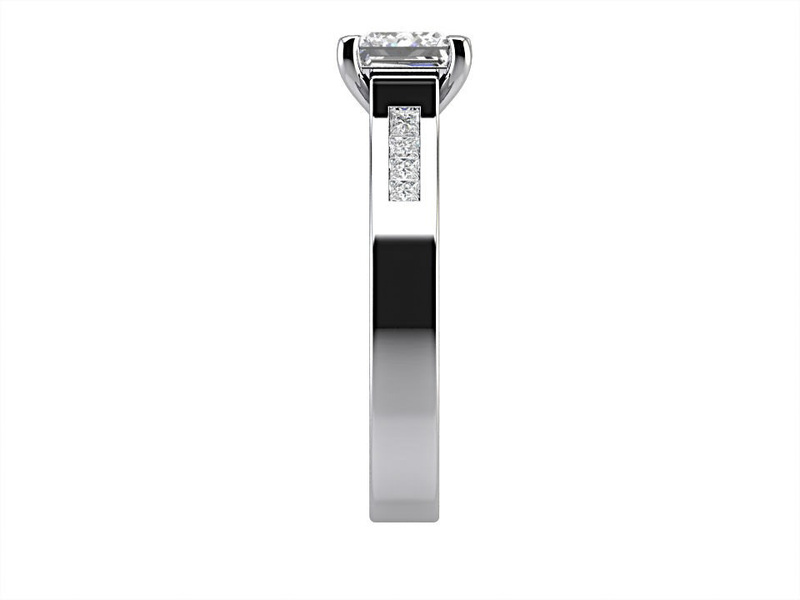 All our diamonds are certified by GIA, IGI Antwerp HRD Antwerp. 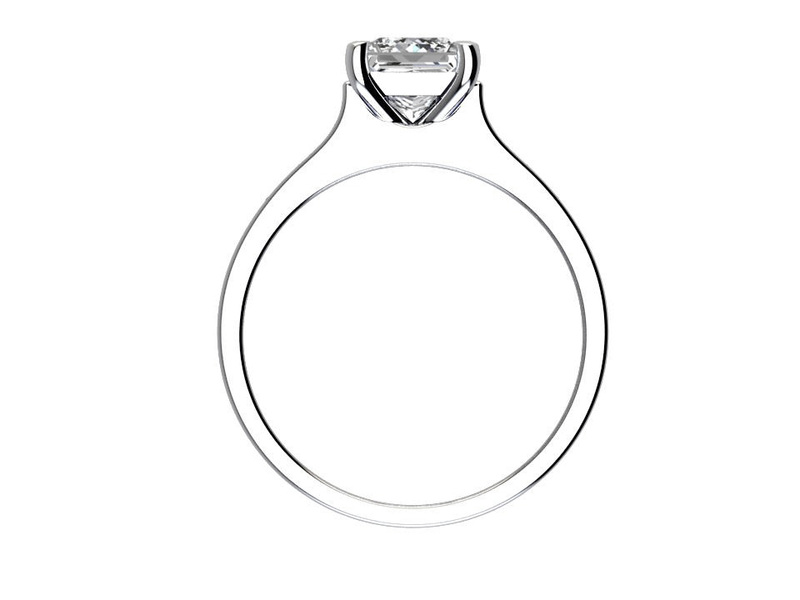 We have access to over 375,000 certified diamonds from our network of diamond dealers.